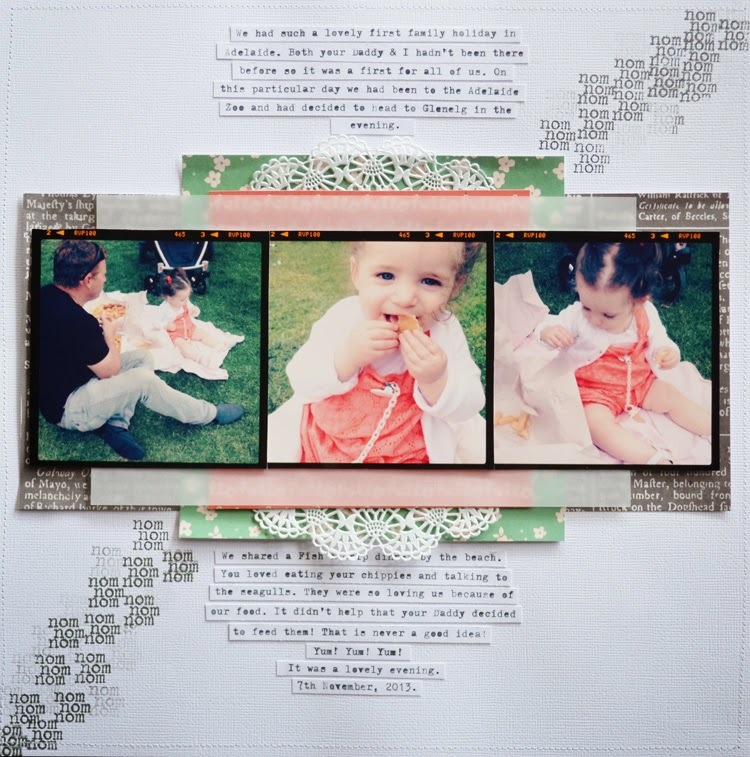 Today I am back to share another layout I created as a Guest Designer for Kellie Stamps for the month of March. On this layout I used the new for March 'Cozy' stamp set and an APOCD Cupcake kit from last year that I had in my stash. 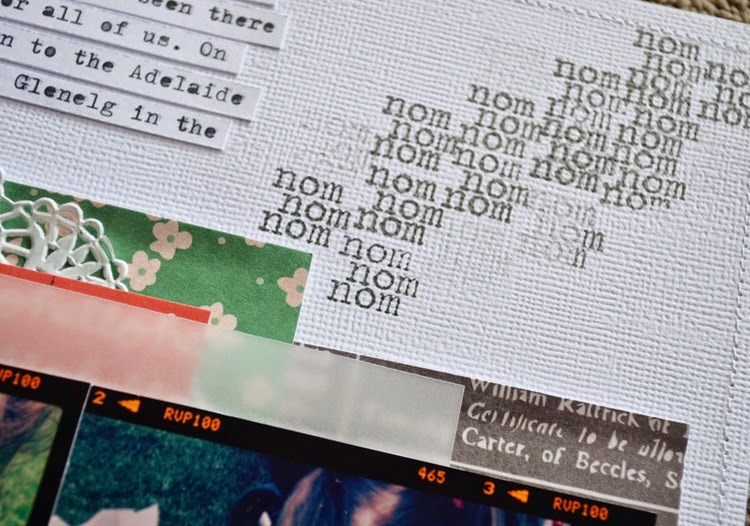 I wanted to try something different with this layout so I grabbed the 'nom nom' stamp from the 'Cozy Set and my trusty Black Archival ink and stamped away in a diagonal direction. Here is the gorgeous set I had to play with, available in Kellie's store. Thanks for looking! If you like what you see be sure to check out the other awesome stamps available in the Kellie Stamps store.